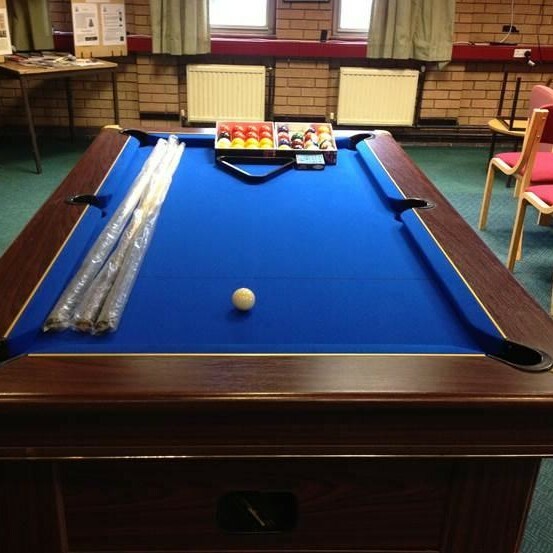 This was a Full Pool Table Installation we did for the Territorial Army base in Wrexham. 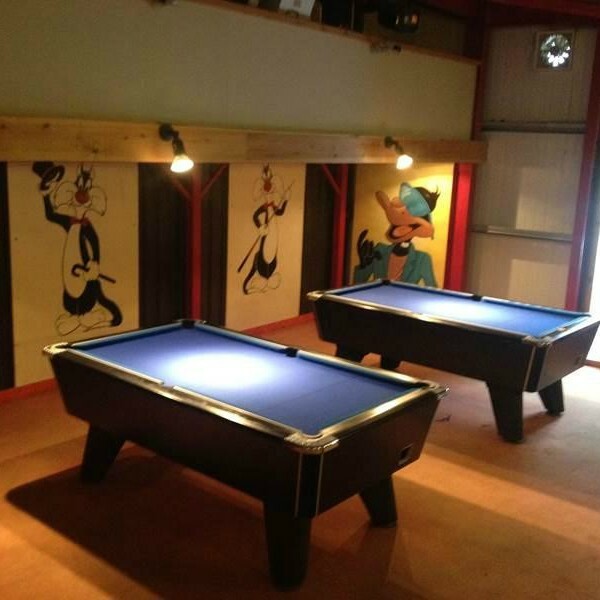 We supplied the table to them, delivered and installed it, we also did a full Refurbishment, Valet and Recover on the Pool Table. 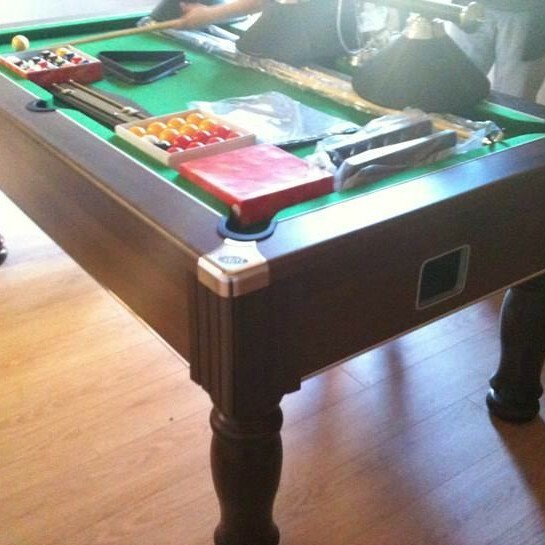 We installed a Supreme Prince table to one of our regular customers. 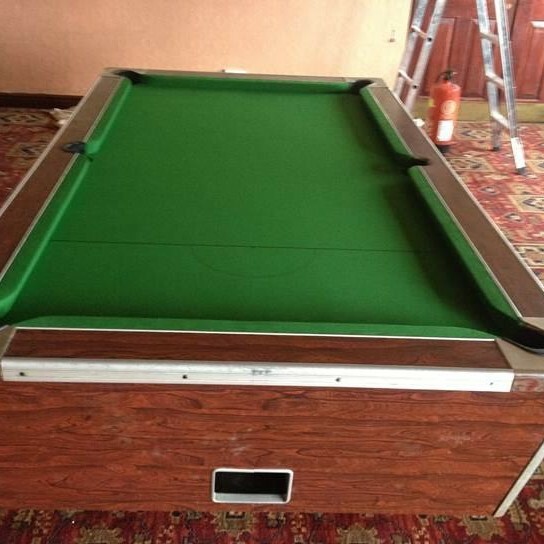 We Valeted, Refurbished and Recovered the Pool Table in a Hainsworth Club Green cloth. 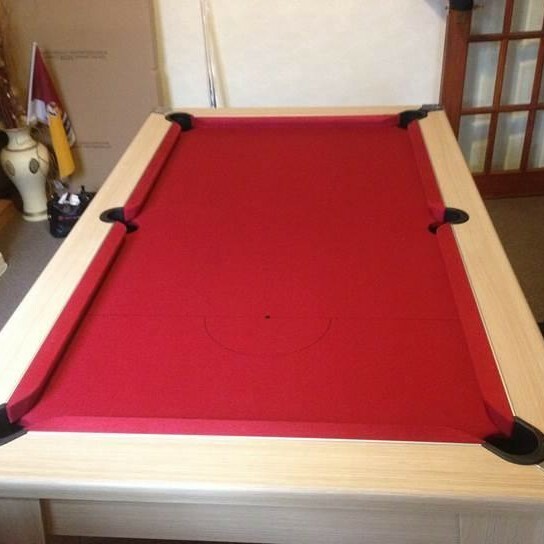 We delivered the Avante Garde Pool Dining Table to a customer in Blackpool, delivery & Installation, the customer was very satisfied with his new dual purpose table in oak with a Bright Red cloth baize. 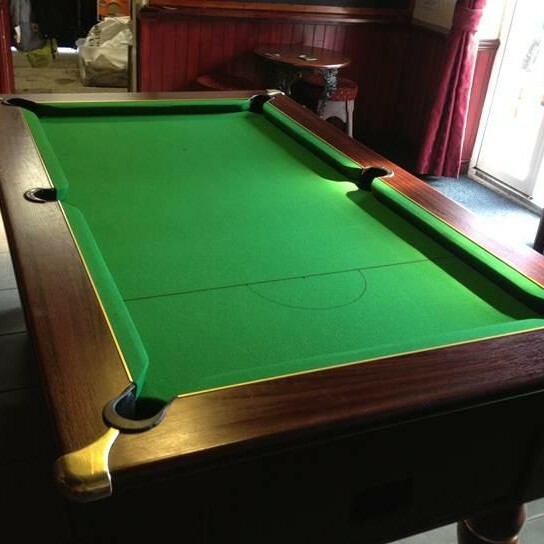 On of our regular customers needed his Pool Table Recovering, so we replaced his worn Budweiser Logo cloth with a Hainsworth Club – Green Cloth, which he was delighted with. 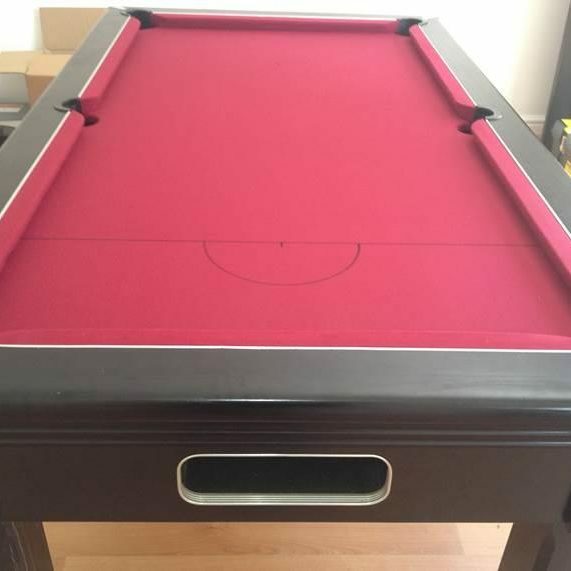 The customer purchased the Pool Table from our website with delivery and Installation, they also wanted some additional accessories, which we provided at a discount price. 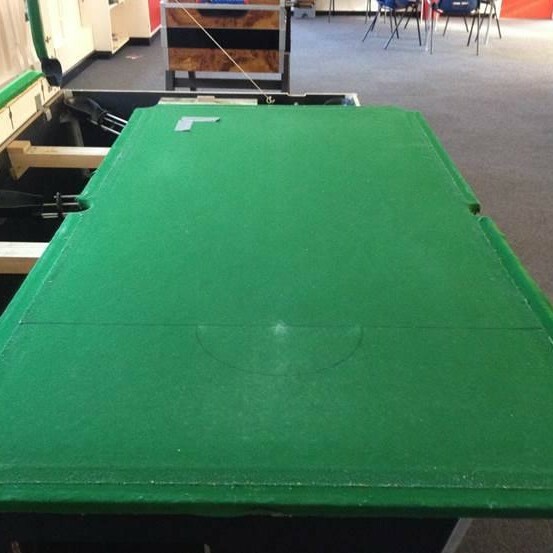 The youth club in Denbigh needed the slate recovering, we did this for them on site, and replaced the cloth with a HainsworthClub-Greencloth. As you can see from the before and after photos, the end result was a massive improvement on the faded worn cloth. 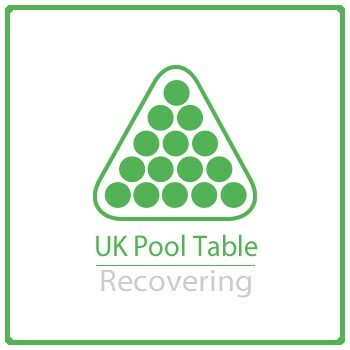 This was a Pool Dining Table Recover that we did in a house in Bangor. 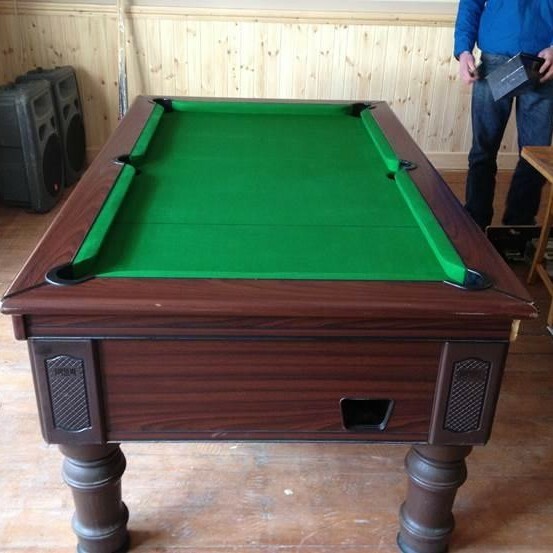 The customer previously had a faded Green Wool cloth, and wanted something more fitting to match the style of the table and the wood finish. This was a full Bed & Cushions Recover in HainsworthClub – Red Cloth.